The Epic Games Store won't just be selling games built using the company's popular Unreal Engine, with Epic indicating that even titles made in competing engines, such as Unity, will be available. Speaking to GamesIndustry.biz, Epic Games CEO Tim Sweeney spoke of a larger 88% revenue share for developers, compared to the recently revised 70/30 split that's offered by Valve's Steam platform. "In our analysis, stores charging 30% are marking up their costs by 300% to 400%," said Sweeney. "But with developers receiving 88% of revenue and Epic receiving 12%, this store will be a profitable business for us." In an attempt to make its store a more attractive proposition for developers and content creators, Epic will also implement a 'Support-A-Creator program' that aims to bring influencers and marketers together. "Previously, most creators were not compensated by game developers for their work and instead had to rely on donations," explained Sweeney. 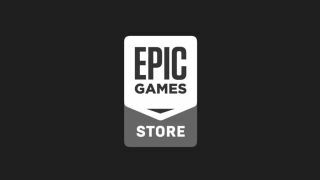 "By matchmaking creators with developers, the Epic Games Store makes it easier for players to discover games, and rewards content creators for their efforts." Speaking to MCV, Sweeney said, “We believe that creators, both games developers and content creators, are responsible for the game industry’s enormous growth and vibrance, and should earn the lion’s share of industry revenue." "We intend to add tools for players to communicate with developers privately, such as a ticketing system for bug reports and questions, to mitigate toxicity resulting from reviews being the only native communication mechanism," Sweeney told GamesIndustry.biz.